According to media reports, the Russian government is considering the possibility of increasing supplies of Russian oil and oil products to Cuba. MOSCOW (Sputnik) – The Russian government is considering a possibility of increasing supplies of Russian oil and oil products to Cuba, media reported Friday, referring to a letter of the Russian deputy economy minister to the cabinet. 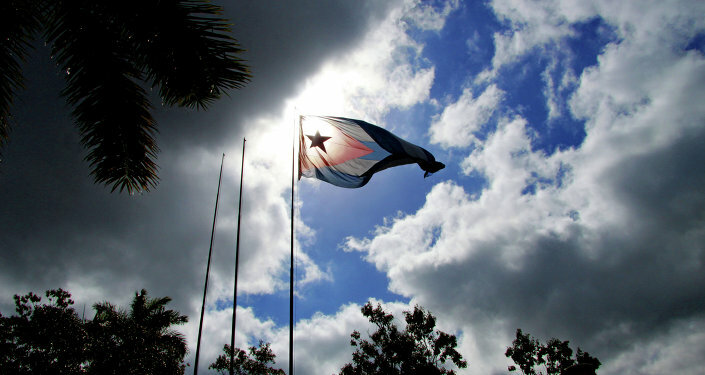 "In our opinion, the successful completion of the negotiations on supplies of Russian hydrocarbons to Cuba will not only promote an increase in trade turnover, but also have a positive socio-political and humanitarian effect on the Russian-Cuban relations," Alexey Gruzdev's letter was quoted by the Vedomosti newspaper. Gruzdev stressed in the letter, written on Wednesday, that Russian supplies to Cuba had not recently been regular. According to the Russian Ministry of Energy, Rosneft and Lukoil oil giants are currently discussing possible deliveries to Cuba, though the issue of prices has not been discussed yet. The letter also gives no information on the oil volume that Cuba is ready to buy and on the price, acceptable for Havana. According to the Russia's Federal Customs Service, Russia supplied 17,100 tons of oil products to Cuba in 2010-2015, with total cost of $11.3 million. In January – November 2016, some 3,100 tons of oil products costing $740,000 were exported to Cuba.